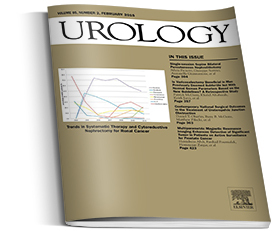 Urology, the Gold Journal, is to provide practical, timely, and relevant clinical and basic science information to physicians and researchers practicing the art of urology worldwide. It publishes original articles relating to adult and pediatric clinical urology as well as to clinical and basic science research. Topics in UROLOGY include pediatrics, surgical oncology, radiology, pathology, impotence, infertility, incontinence, transplantation, endourology, andrology, female urology, reconstructive surgery, laparoscopy & robotics, and medical oncology, as well as relevant basic science issues. Special features include rapid communication of important timely issues, surgeon’s workshops, clinical and basic science review articles, clinical images, Grand Rounds, guest editorials, letters to the editor, book reviews, historical articles in urology.